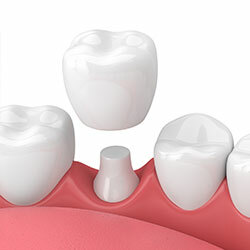 Crowns are a restorative procedure used to improve a tooth’s shape or to strengthen a tooth. Crowns are most often used for teeth that are broken, worn, or have portions destroyed by tooth decay. 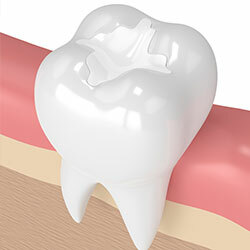 A crown is a “cap” cemented onto an existing tooth that usually covers the portion of the tooth above the gum line. In effect, the crown becomes the tooth’s new outer surface. Crowns can be made of porcelain, metal, or both. 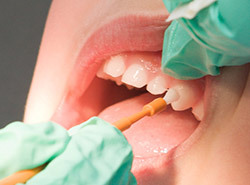 Crowns or onlays (partial crowns) are needed when there is insufficient tooth strength remaining to hold a filling. Unlike fillings, which apply the restorative material directly into the mouth, a crown is fabricated away from the mouth. 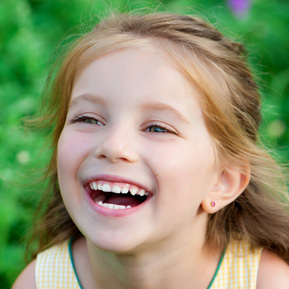 A crown is created in a lab from your child's unique tooth impression. 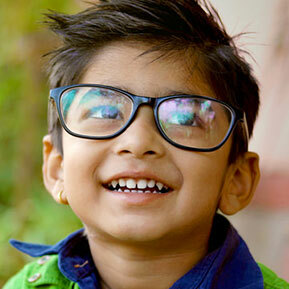 The crown is then sculpted just for your child so that his or her bite and jaw movements function normally once the crown is placed. Porcelain crowns are most often the most preferred type because they mimic the translucency of natural teeth and are very strong. 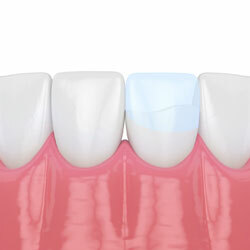 White crowns can be made from solid porcelain or porcelain fused to metal. 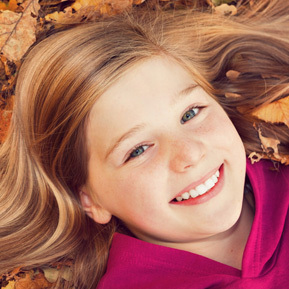 EZ-Pedo crowns are tooth-colored, prefabricated ceramic crowns especially designed for children. 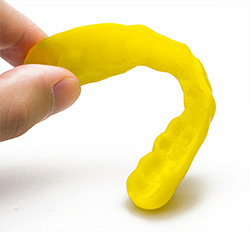 They are created from a solid block of zirconia, much like highly aesthetic crowns made for adults. 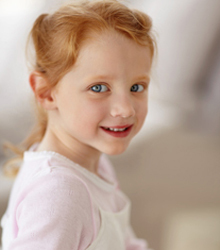 Each crown is color matched to your child’s tooth, making them very smooth, shiny, and impermeable to staining. Like stainless steel crowns, zirconia crowns are exceptionally strong.